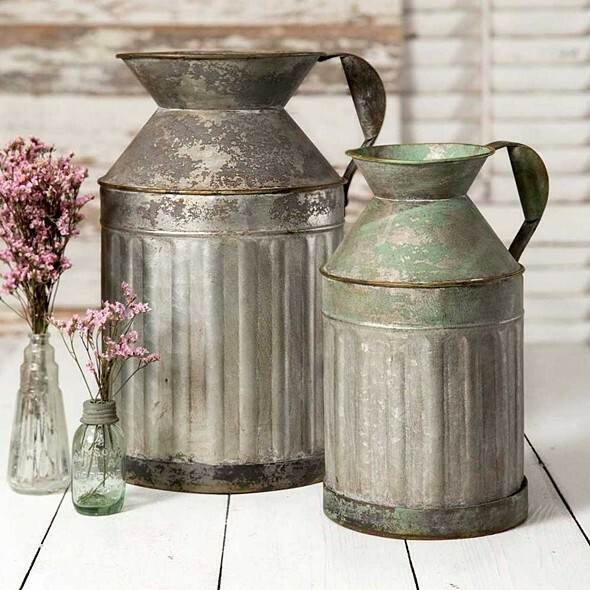 These vintage-look, galvanized-metal milk jugs provide decorative centerpieces for a rustic or shabby chic-themed reception. The pair comes in two assorted sizes. The jugs are decorative and are not watertight. PLEASE NOTE: Pictured jars and flowers are not included.